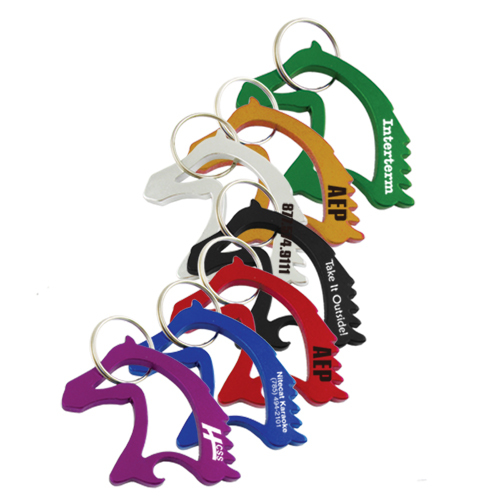 Made of aluminum metal horse head shaped bottle opener key chain, individually poly bag. Key links will only with stand up to 5 lbs of pressure. Price included one color one location screen/laser imprint.